Collision repairs are the lifeblood of Morita Autobody in New Westminster. Domestic, European and Exotic, we are masters of our craft. Find out why. 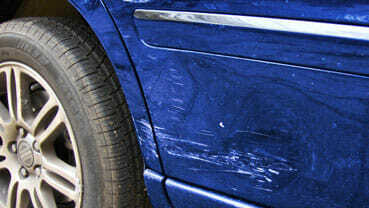 Getting your car or truck back to beautiful and looking its best is what our scratch and dent services offer. Call us today for a competitive estimate. 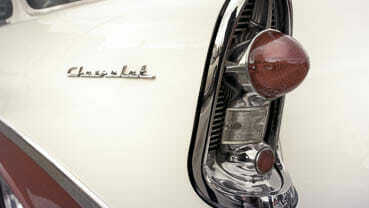 Restore your memories or that fantasy car of your youth with a full or partial vehicle restoration. We built our brand on making car fantasies come true. Call now, book your appointment, and get back on the road quickly. As a recognized ICBC C.A.R. 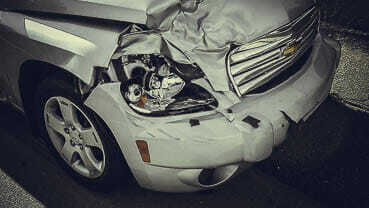 Shop Valet vendor, we want to ensure that your vehicle collision repair happens as quickly and efficiently as possible. Give us a call at our New Westminster Autobody location to set your vehicle repair appointment. This is the first step to getting you back behind the wheel of your car. Morita Autobody, located in New Westminster, across from Royal Columbian Hospital, has been a leader in business and vehicle collision repair for 50 years. Unlike impersonal franchise based shops, Morita offers you and your family full-service bodyshop services, including collision repair and automotive restoration, that are personable, relationship driven, and based on exacting craftsmanship. Since 1967, Morita Autobody has built its reputation serving New Westminster and the surrounding communities of Coquitlam, Port Coquitlam, Port Moody, Burnaby and Surrey. Our expert autobody technicians specialize in providing domestic and foreign collision repairs, vehicle painting and specialty colour matching. Morita Autobody takes the environment seriously and uses DuPont water-borne paints so we can help the planet. We helped set, and maintain the highest of industry standards, when it comes to autobody repair. James Davies, and the entire Morita Autobody team, stand behind their work, and guarantee their repairs for as long as you own your vehicle, with rust repair being the only exception. My car is not a hot rod, but it came back looking great. A friend recommended Morita Autobody so I knew it would be good, but the quality of craftsmanship and attention to detail was even better than I expected. James and his team were great to deal with too. They made the process simple. I have classic cars and new cars, and when I need work done, Mortia Autobody is the only place I'd take them. Customer service and work quality are top notch. Service is exceptional and the quality of work is second to none. I would highly recommend James and his staff to anyone needing body work done on their vehicle. James has always gone above and beyond to take care of my vehicle - I highly recommend Morita Autobody! Exceptional customer service and autobody work! I highly recommend Morita Autobody Services for any services they provide! James is great! Thanks so much! Great customer service. James and his staff are top shelf guys. I highly recommend them without reservation.